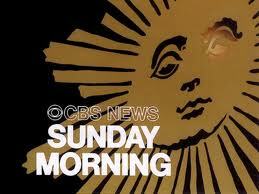 CBS Sunday Morning airs every weekend from 9am – 10:30am. This Emmy-winning program has been a fixture on CBS since 1979 and provides weekly news features on a myriad of subjects including public affairs issues and cultural topics. Every Sunday, the program highlights a human interest story and includes feature pieces of about artists, writers, scientists, musicians, thinkers, doers and leaders of thought and action in many fields. We are excited to announce that this Sunday, January 15th, Dale Carnegie will become one of these great historic figures to be featured. The Dale Carnegie Training segment will include an interview with CEO Peter Handal, footage of Dale Carnegie Training classes, as well as visual snippets of historic imagery. We encourage you to check your local listings to ensure you don’t miss this segment!